Last weekend I helped put on a wedding shower for my cousin's fiance, Tessa. I loved helping to be a part of the planning & the party was so great. I got to put lots of pretty, girly things together for the shower & got to see alot of my relatives I had not seen since my own wedding in October of last year. It was an enjoyable day & I think the bride-to-be had a good time as well. Success! 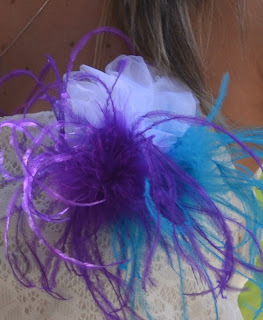 One of the items I put together for Tessa's shower was a could-not-be-easier, but so frilly & fun corsage. I love the playfulness of the feathers & it turned out great in her wedding colors, turquoise & purple. 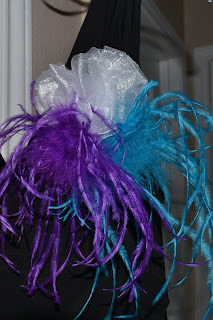 So really, this corsage is so simple to make. I headed down to my local Hobby Lobby & went straight to the gift wrap section. There, I picked up a satiny, shiny white gift bow. These are great things to keep around if you are not an expert in making your own bows (I am definitely not). They come in a few basic colors & are made with quality ribbon that stands up pretty well. 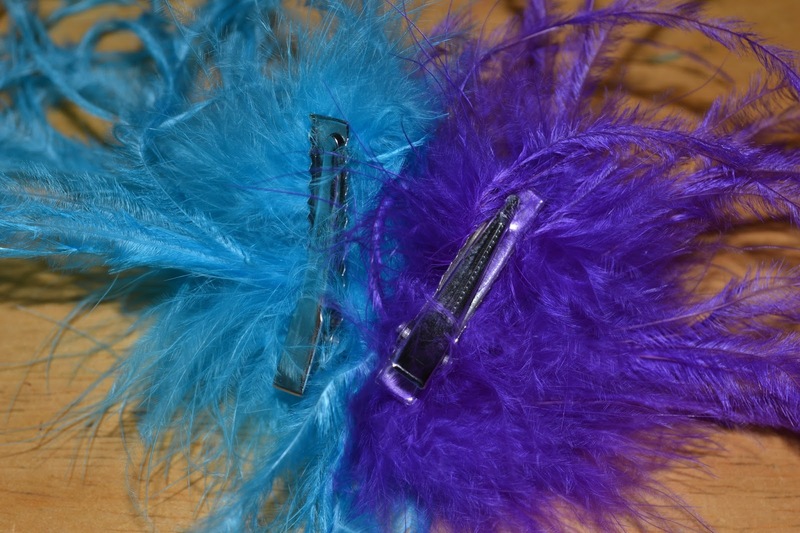 I then picked out two feather clips, one in turquoise, one in purple. These should be right near the gift bows & come in a ton of cheery, bright colors. These are one of my favorite items to keep on hand for projects. 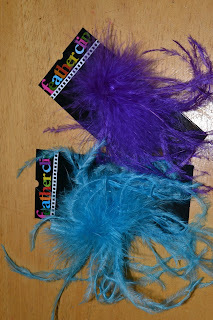 They are inexpensive & can dress up a gift quickly. Make sure that your feather clips have backs similar to these. They'll make it a snap to put the corsage together. 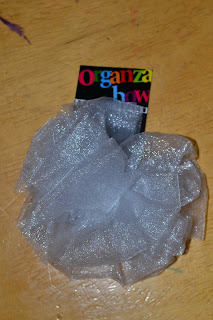 Once I was home, I took the bow & clips out of the package. 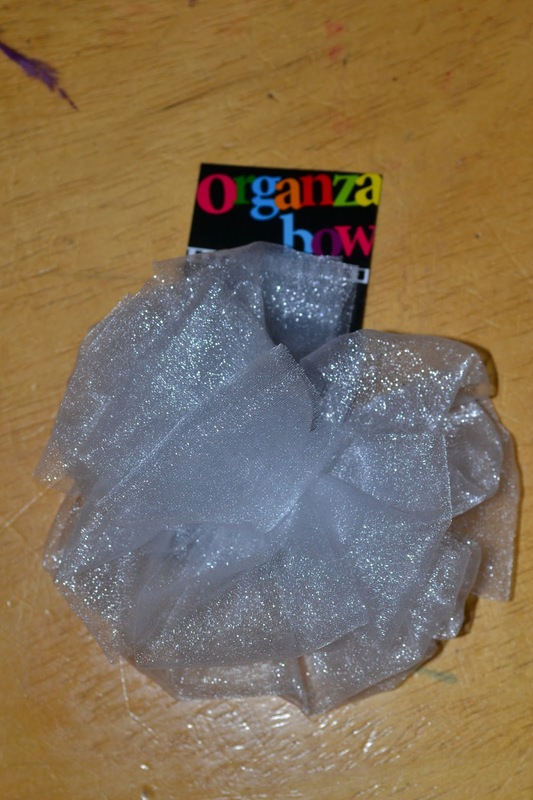 The bow had both a twist tie & a square of adhesive on the back. I removed the square of adhesive, but left the twist tie attached. 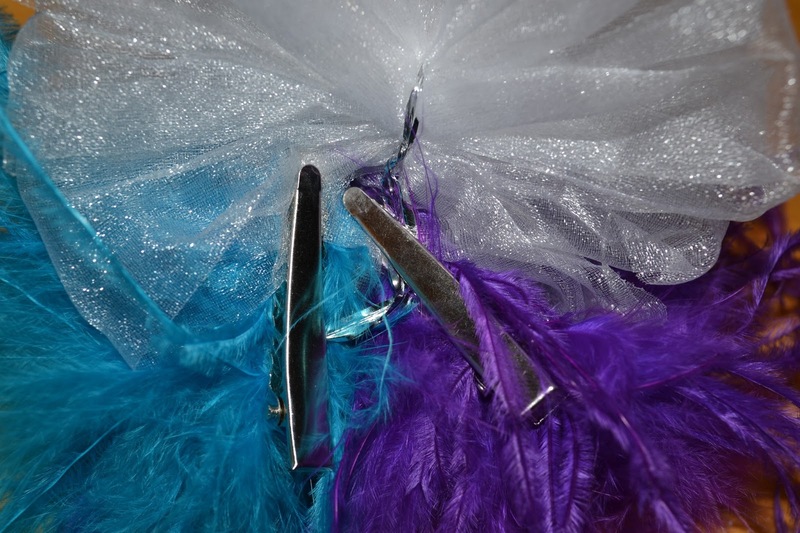 Next I attached the feather clips to the bow's twist tie using the 'claw' grips. I fiddled with them a bit to make sure they were adjusted the way I wanted & weaved a pearled stick pin through the bow so we could pin in on Tessa's dress. These are so lovely. Thanks Kyrstal for sharing this brilliant idea.